It’s the most wonderful time of the year…at least for parents of school age parents. It’s back to school time. Even if you don’t have children or your children have all grown up, there is something changes at the end of summer. Vacations and play are over. Time to get back to learning. Since we’re in a season when so many are thinking about their educational pursuits, maybe indie writers should do the same. Now would be a good time to go back and focus on the basics: writing craft. 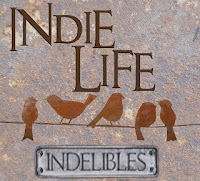 So much of our indie lives are focused on marketing and promotion. Or on getting our website in order or scheduling our blog posts, but what about our actual writing? How much time do we spend becoming better writers? 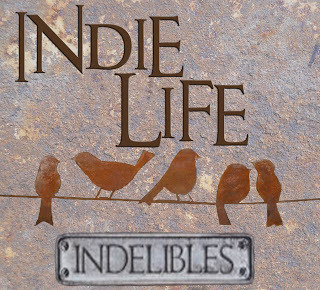 A well-crafted book is the foundational of a successful indie life. There is no substitute for it. You can promote to the high heavens, but if your prose doesn’t shine, it will all be for naught. Poorly written book is one of the stigmas of indie books, and unfortunately, in some cases, it’s true. Since indie publishing is so easy now, anyone with some free time and a Word document can have a book live for purchase in a few hours. I have certainly read my share of poorly written indie books with poor sales, but our books don’t have to end up that way. Putting time into improving craft can be very beneficial to not only your sales, but to your as a writer. Learning something new will put fresh wind in your writing sails. Mastering a technique can boost your confidence. Pushing to improve as a writer can also cure writer’s block and eliminate any feelings of stagnation. How do we go about improving? Most of us can’t enroll in writing classes (but if you can, I suggest you do), so our education takes other forms. Read. I’ve heard the advice of reading in your genre, but I would suggest broadening that to reading everything. Some elements of writing, like pacing and character arcs, can be learned from a well-written book from any genre. Read more and pay attention to what is working and what is not in the book. Take notes and see if it can apply to your writing. Read writing craft books. If you have a library card, you can improve your writing. Most library systems are well stocked with writing craft books. Check a few and read them. Pick up a copy of Writer’s Digest. Many of these resources will present different suggestions on tackling a particular technique, but keep reading until you find one that works for you. Do your homework. Now that you are armed with information, it’s time to apply it to your writing. This will require you to really take a hard, objective look at your writing. Most writers already know what their writing weaknesses are. Practice some of the tips you gained on your weak areas. And don’t forget your strong areas. Yes, they are already working, but look at ways to make them better. Get critiqued. This is a challenging one because most of us have had some interesting experiences in critique groups. That being said, having someone other than your mother or husband critique is very helpful. Find two or three people who are broad readers, people who read all genres, and ask them to read your manuscript. These people are called beta readers. Even if they can’t tell you what exact technique you need to improve on, they can tell you when something is not working. Our writing careers started with us learning about writing craft, and that learning shouldn’t stop once we’ve published. We need to push to learn and improve. Learn something new today. I think we can also learn really a lot from actively critiquing for others. I am much better at spotting what works and what doesn't when I see it in other people's work, and there is a lot more to SEE in early drafts than there is in something that gets published. Very true, Hart. Joining a critique group can has a two-fold benefit: the change to get feedback on your manuscript and a chance to learn from reading unpolished manuscripts.